Cleanlife’s Door-To-Door Weekend Cleaning is a rapidly expanding franchise owned business that has revolutionized the traditional dry cleaning model. 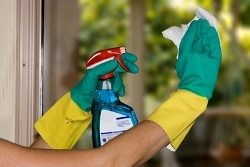 Door-To-Door works only on weekends to exceed the customer expectations of the typical neighborhood cleaner. 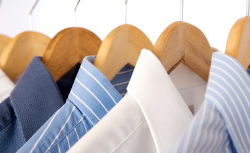 We take the simplicity and dependability of a delivery service, and combine it with quality, competitive pricing and on-time delivery guarantee rarely seen in the dry cleaning industry. We’re an owner-operated mobile dry cleaning service, giving you quality personalized and comprehensive homecare and services. You call when you need our service and it is delivered to you. No legal or contractual entanglements. We are proud to have built a reputation as Accra’s premier dry cleaner: we’ve grown to nine regional agency offices from Eastern corridors to far away Northern and Upper Regions of Ghana. Our weekend door-to-door service makes it easy and convenient for you look your best without the hassle and stress. 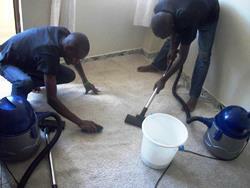 We specialize in home dry cleaning: rugs, carpet, floor scrub, washroom sanitizing, drapery and curtain. Laundry picked up and delivered to you in 2 days for less than if you would do it yourself!